This is not the cover. I’ve blabbed my news to a handful of people but have not shouted it to the world yet, so here goes: I have a new poetry book coming forth! It’s called The Uneaten Carrots of Atonement, a title drawn from one of the poems. The manuscript was accepted several months ago by Wind Publications who has published all three of my previous poetry books and my craft book, The Crafty Poet: A Portable Workshop. The revised manuscript has been sent in, blurbs are underway, and the cover art has been produced. The magnificent Brian Rumbolo who did the original art for the earlier three poetry books has also done the art for this new book. Again, he has used big bold colors and added a touch of play. I’m not going to reveal the cover just yet, but it’s pretty darn cool. My last book, Temptation by Water, came out in 2010. Since then I’ve had one chapbook and the craft book published, so I haven’t been idle. But I’m excited to have another full-length collection of poems coming soon. Sort of like going home again after a long time away. I’m expecting to receive the galleys in a few weeks. My publisher has given me a publication date of late summer or early fall. I’ll keep you posted. In the meantime, check out one of the poems, "Original Sin." Back in 2010 I posted a piece called "What Makes for a Good Poetry Reading?" I recently took another look at that piece and decided to repost it five years later with a few additions. My experiences as both a reader and an audience member have made me well aware that readings are not created equal. Some are wonderful and some are quite the opposite. As a reader, when the reading doesn't go well, I ask myself, Why do I continue to do this? But when it does go well, I know why I keep doing it. Because it's fun and feels great. Fortunately, it goes well more often than it doesn't. In the hope of enhancing the likelihood of more good readings, I'm reposting some thoughts on the the role of the host, the poet, and the audience on how they can each contribute towards a successful reading. 1. Good PR is essential. If no one knows about the reading, you can be sure no one will be there. If you're the host, you're obligated to spread the word as widely as you can. Even if the reading is part of a regular series, you should PR each reading as if it's special (because to the poet it is). Posters, newspaper notices, online calendars, websites, blogs, email lists. 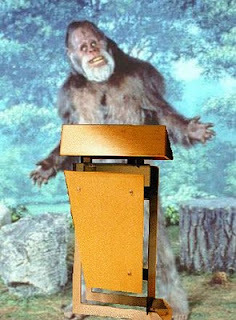 It's really disheartening for the poet to arrive and learn that the host never got around to promoting the event. No excuses, Host. 2. Try to make the room comfortable. Arrive early to check the room temperature and the mic if there is one. Arrange the chairs so that the audience is neither too close to nor too far from the poet. If all the people gravitate to the back of the room, threaten them until they move to the front. Likewise, if half sit on the far right and half sit on the far left, ask people to move in a bit. These little things make a big difference in the comfort level of the reading. 3. If possible, provide a good sound system unless the room is small. Don't expect the poet to shout her poems. I gave a reading a few years ago in a coffee shop that had no mic. Coffee machines, chimes on the door, change rattling. Not so cool. 4. Be sure you provide a space for the poet's books to be displayed. Announce to the audience that books are available. If they're at a sale price, mention that. Repeat that. Do your best to help the poet sell some books, especially if your honorarium is small or non-existent. Don't make the poet hawk her own wares. If possible, provide someone to handle sales and make change. 5. This is going to sound cranky, but I'm saying it anyhow. Don't allow audience members to put out their own books for sale. And don't put out your own books. Just don't create competition for your visiting poet, especially if the poet has traveled a distance. Double especially if pay is minimal or non-existent. 6. If you can't offer an honorarium, consider putting out a basket. I did a reading some months ago where such a basket was put out, but guess what! The host kept everything that went into it. I'd driven five hours and paid for a hotel. 7. If there's an Open, manage it. Manage it. Have guidelines and enforce them. Many a reading has been spoiled by an Open that got out of hand and went on endlessly. When this happens, some audience members are discouraged from returning and you end up with an audience of open readers who are there to hear themselves. A well-run Open can, however, be fun. Limit the readers to one or two poems. That's it. No negotiating. Got a haiku? That's one poem. Even if there are only two people reading in the Open, do not allow more than two poems each. 8. Anyone who arrives after the featured poet has finished reading should not be allowed to read in the Open. No exceptions. Something about good manners. 1. You can help with the PR. Post the reading at your website and blog and anywhere else you can think of. In addition to the preceding, notify people you know in the area that you'll be doing a reading and ask them to bring friends. 2. If the host neglects to put out your books, rectify that right away! I'm putting an exclamation point on that sentence because I have done a few readings where the host forgot about books and I was too timid to bring it up. Then I kicked myself all the way home. Now if the host doesn't ask for my books, I ask, "Where would you like me to put my books?" 3. If the host fails to announce that your books are available for sale and signing, then do that yourself. Don't browbeat the audience into buying your books—that's really unappealing—but you can mention once at the beginning and/or at the end that your books are on the table and offered tonight at discount and that you'll be happy to sign them. 4. Go prepared. Choose your poems before you arrive. I've heard a number of poets say they have to gauge the audience before they choose. Nonsense. That's just laziness. It's annoying and a waste of time for the audience to sit there while the poet fumbles through pages looking for what to read. 5. Time your reading ahead of time. You know how many poems will take up 30 minutes. Plan for that if that's the amount of time you have. Don't go beyond the time. Ever. And don't keep asking the host, How am I doing for time? How much time do I have left? Time for a few more poems? This makes the audience squirm. And if you've said, as you reach the end of your time, that you're going to read just two more, then read just two more. Don't toss in a third, no matter how much the audience seems to like you. 6. Try to stay for the Open. If people came to hear you, it seems polite to stay to hear them. If you're driving a distance and have to leave, let the audience know that that's why you're leaving. 7. Email a thank-you to your host, even if the turnout was disappointing. There are times when competing events or weather keep people away. Let the host know that you appreciate the invitation to read in her series. If the reading was a big hit, let your host know that you appreciate his efforts to put together a great event. 1. If you're in the audience and planning to read during the Open, please do not work on your own poem while the featured poet is reading. It's incredibly rude. 2. Do not give long preambles to your poem. Just read the poem. 3. 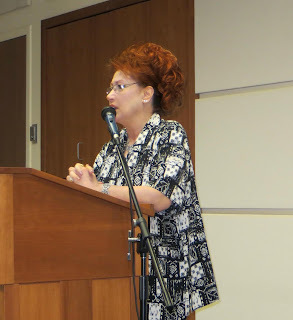 Don't make announcements from the podium, especially ones about your own upcoming readings. 4. Do not stare at the featured poet while you're reading your poem. Read for the whole room. 5. If you possibly can, support the poet with the purchase of a book. It means a lot to the poet. Really. 6. Do not ever, and I mean ever, suggest a book trade to the featured poet. This is beyond rude and it makes for a very uncomfortable situation. Since I've been posting features of poets for the past month, I've fallen behind in the bragging department. Time to catch up. Here's what got me excited and made me happy recently. First, The Crafty Poet received two more nice reviews. As the book is zeroing in on its second birthday, I am very happy that it continues to attract attention and praise. 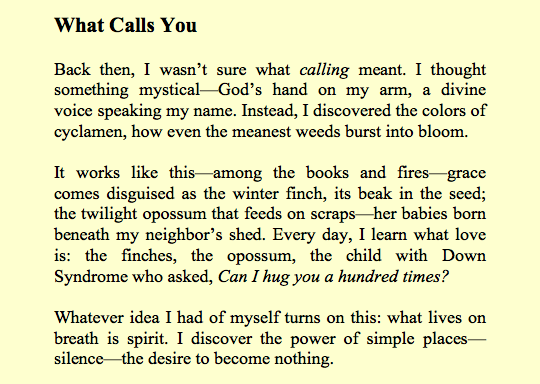 The first review is by Philip Chase and appears in the 2015 issue of the Journal of New Jersey Poets. As that is a print journal, I scanned the review and posted it on my website. 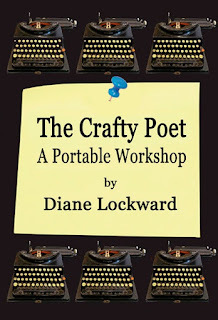 I am very fond of this opening sentence: "With plenty of practical advice, insightful interviews, useful exercise, and original poems from an array of voices and styles, Diane Lockward's aptly titled The Crafty Poet: A Portable Workshop is an invaluable tool for anyone looking to delve into the craft of creating poetry." The entire review can be found HERE. The second review is by Linda Simone and appears online in Writer's Relief. This reviews begins with this nice sentence: "If you’re looking for the magic bullet to combat writer’s (or poet’s) block, The Crafty Poet, A Portable Workshop by poet Diane Lockward may be the book for you." Read the entire review HERE. I'm also happy to report that The Crafty Poet E-Book is doing nicely. On the generous recommendation of Scott Wiggerman and David Meischen, co-editors of Wingbeats and Wingbeats II, I used the services of eBookIt for the conversion. I have been extremely pleased with their service and recommend them to anyone looking to convert a print book into an ebook. While I had not expected them to do any editing, they did and my editor did a really great job. Then my rather complicated table of contents required manual inputting which they did for a very reasonable fee. I especially appreciated the open line of communication. Any questions I had were quickly answered. The cost of this service was recovered in less than the first two months of the book's availability. 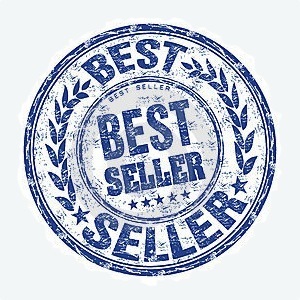 For each of the three months that the ebook has been available, it has been a bestseller. As a result, it has been given a fancy badge on its page. The Crafty Poet ebook is available at eBookIt, Amazon, B&N, and elsewhere. Then I had the great happiness and honor of having a poem featured by Garrison Keillor at The Writer's Almanac on Monday, June 22. Linguini was read by Keillor on his broadcast that goes out daily on 600 radio stations. The poem also went out via Keillor's daily newsletter. 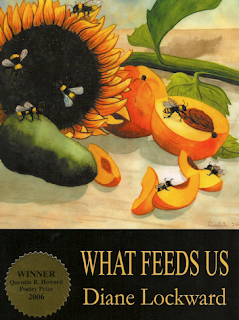 First published in Poet Lore, the poem later appeared in my second poetry book, What Feeds Us. In the poem publication department, my poem "Thinking Like a Buddhist" appears in the current issue of Driftless Review. Then I also have two poems, "We Were Such a Fine Plum Pudding" and "The Gift of a Rat" in the current issue of Compose Journal. This is a beautiful online journal that includes poetry, fiction, and art. The editors also do a great job of promoting the journal and the authors via social media. My bad news is some nasty poison ivy on my arms which has me dousing my limbs in rubbing alcohol and spreading on copious coats of Wal-dryl. No more weeding for me. Adele Kenny is the author of several collections of poetry, most recently A Lightness, A Thirst, or Nothing at All. Her poems have been published in numerous journals and anthologies. She is the recipient of two NJ State Arts Council poetry fellowships, the first place Merit Book and Henderson Awards, a Merton Poetry of the Sacred Award, the 2012 International Book Award for Poetry, and Kean University’s Distinguished Alumni Award. She is the founding director of the Carriage House Poetry Series and the poetry editor of Tiferet Journal. One of her poems appeared on the marquee of the Rialto West Theater in NYC as part of the 42nd Street Art Project. She has twice been a featured reader at the Geraldine R. Dodge Poetry Festival. 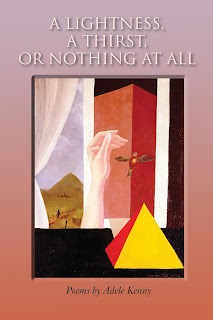 A Lightness, A Thirst, or Nothing at All is a collection of 52 prose poems that are deeply rooted in imagery and metaphor. They contain complete sentences and deliberate fragments, speak the language of dreams, and give a nod to the surreal. They often include strange layers of language in which what appears to be abstraction isn’t. Lightness picks up the spiritual journey begun in the earlier What Matters and moves that journey forward. Adele sent us home with these suggestions for revision. Hopefully, you can put them to use on the poems you've written to the prompts offered by the other festival poets. Often when I conduct poetry workshops, I give participants the following list, which is not a standard “prompt” but something I hope will be useful when you work on editing. 1. Try to write in the active, not the passive, voice. To do that, it can be helpful to remove “ing” endings and to write in the present tense (this will also create a greater sense of immediacy). 2. Be on the lookout for prepositional phrases that you might remove (articles & conjunctions too). 4. Avoid clichés (and, while you’re at it, stay away from abstractions and sentimentality). 5. Show, don’t tell—through striking imagery, a strong emotional center, and an integrated whole of language, form and meaning. 6. Challenge the ordinary, connect, reveal, surprise! And … remember that a poem should mean more than the words it contains. 8. If you take a risk, make it a big one; if your poem is edgy, take it all the way to the farthest edge. 9. Understand that overstatement and the obvious are deadly when it comes to writing poetry. Don’t ramble on, and don’t try to explain everything. Think about this: a poem with only five great lines should be five lines long. 1. Take a look at a poem you’ve already written and apply the preceding items as a checklist for editing. 2. Go through your poem one item at a time and see if there are changes you can make. 3. After you’ve finished, compare your original version and the newly edited one. Is the edited version stronger than the original? I live and write poetry in New Jersey. 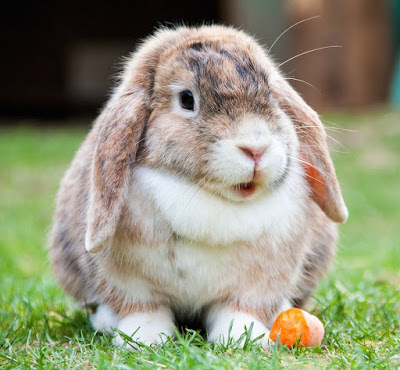 I am the author of four full-length poetry collections, most recently The Uneaten Carrots of Atonement. My earlier books are Temptation by Water (Wind Pub, 2010), What Feeds Us, which received the 2006 Quentin R. Howard Poetry Prize, and Eve's Red Dress. I am also the editor of The Practicing Poet: Writing Beyond the Basics, The Crafty Poet: A Portable Workshop, and The Crafty Poet II. My poems appear in a number of anthologies such as Garrison Keillor's Good Poems for Hard Times and in such journals as Harvard Review, Spoon River Poetry Review, and Prairie Schooner. My poems have also been featured on Poetry Daily, Verse Daily, Ted Kooser's American Life in Poetry, and The Writer’s Almanac. I am the founder, editor, and publisher of Terrapin Books, a small press for poetry books. Saturday, March 16, 2019. Girl Talk: A Poetry Reading in Celebration of Women's History Month. More than two dozen women poets will each read one woman-related poem. West Caldwell Library, 30 Clinton Rd., West Caldwell, NJ, 1:00 - 4:00 PM. Sunday, April 14, 2019, with Deborah Gerrish and others, New Providence Library, New Providence, NJ, 2:00 - 5:00 PM. Reception follows the reading. Saturday, May 11, 2019. A Terrapin Books reading with Gary J. Whitehead, Michael T. Young, and Sarah Wetzel. Lunar Walk Poetry Series, Local 138 at 138 Ludlow St., NYC 10002. Q&A about the press.